Our best selling dog lead option. 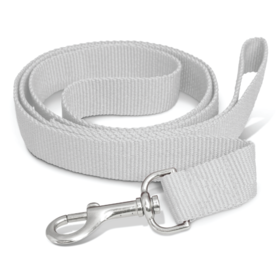 An exceptional quality dog lead that comes with a bulldog style clip as standard and are sturdy enough to hold any canine! Perfect lead for your companion. For pricing on more than a one colour print, please call us as we need to check your artwork. PMS matched to any Pantone colour! Priced at a factory direct cost!